All around Turkey, antiquities are being closely watched and monitored. 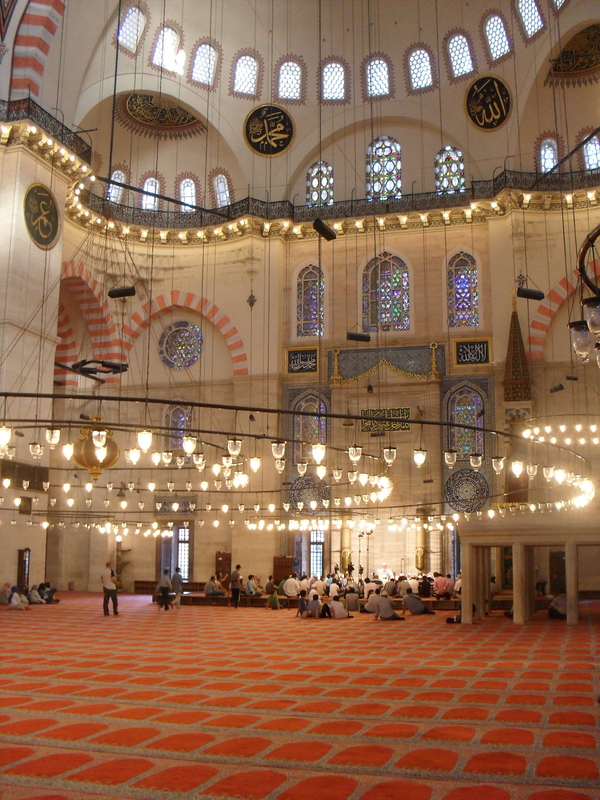 To prevent thefts, Istanbul’s Süleymaniye mosque has placed surveillance cameras and tightened security by hiring more guards. Its previously unregistered Korans and wall tiles have now been archived. 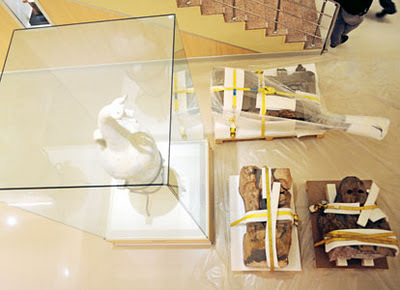 Looted antiquities are seized before they cross the border. During a routine ID check between Ankara and Kayseri, Turkish police arrested two men with a 3rd century BC Aphrodite statue wrapped in the back of their car. Officially missing for years, the statue was being smuggled out of the country. Efforts to prevent theft are matched by attempts to bring objects back to Turkey. 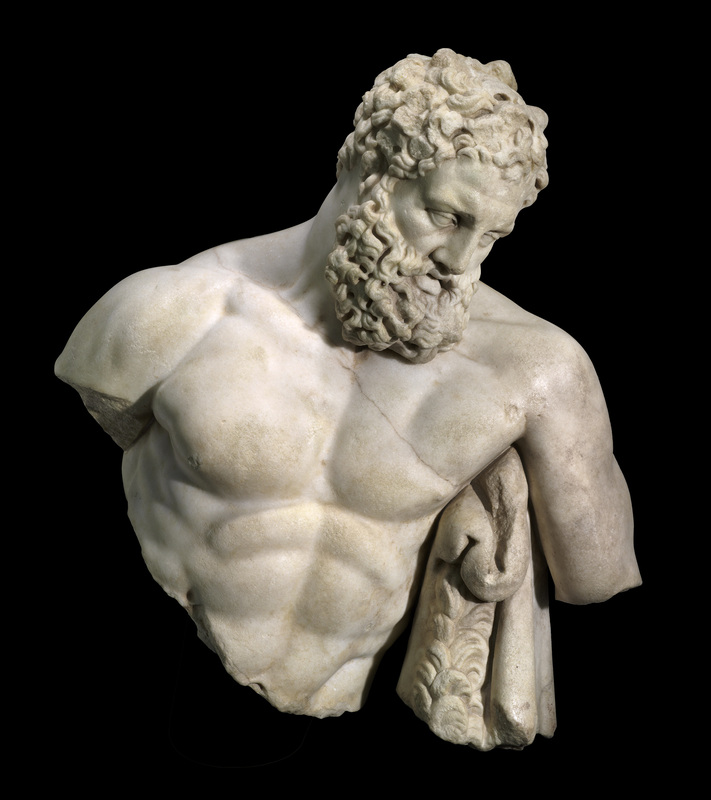 The top part of “Weary Herakles,” a Roman statue housed in Boston’s Museum of Fine Arts since 1982, was finally reunited with its bottom part in Antalya. After more than twenty years of a legal dispute, the two halves looted in the early 1980s near Perge will finally be displayed as a whole. The Hattuşa sphinx, housed in Berlin’s Pergamon Museum since 1917, presents a similar case. The monumental statue originally adorning one of the Hittite city’s gates was exported early last century to Germany for “restoration.” With the help of Turkish Airlines and under tight security measures, it has returned and is now displayed with its counterpart in their place of origin. Another famous incident involved a legal battle between the Metropolitan Museum of Art in New York and Turkish authorities over the “Lydian Treasure.” In 1993, the Met finally agreed to pay for the return of these illegally acquired objects. Professor Crawford H. Greenewalt, who left us too early a few weeks ago, played a key role in the negotiations of this so-called treasure’s safe return to Turkey. Today, the objects are displayed in the Uşak Museum and Museum of Anatolian Civilizations in Ankara. This repatriation case, as Luke and Roosevelt explain, was perhaps the first to show western museums, no matter how powerful and wealthy, that they would be held accountable for the acquisition of artifacts with illegal provenance. To speed up the repatriation process, Turkey’s Ministry of Culture and Tourism has sometimes refused to lend artifacts to museums with disputed objects in their collections. It has also threatened to suspend the permits of foreign excavation teams. The Deutsches Archäologisches Institut in Istanbul, for instance, has feared in the past that some of its permits would not be renewed if the Hattuşa case were not quickly resolved. Perhaps a kind of archaeological blackmail… To fully grasp the contemporary cultural lives of these objects and all of the legal implications they carry with them, however, we need to place them in the political context within which they were acquired and transported out of the country. “Scramble for the Past: A Story of Archaeology in the Ottoman Empire, 1753-1914” is an attempt to do so. This Istanbul exhibit presents the accounts of Ottoman and Western explorers alongside objects excavated from sites in Turkey, Iraq, Syria, Lebanon and Egypt during the 19th century. It traces the history of archaeology in Ottoman lands and, by doing so, links the acquisition of ancient artifacts to the imperial desires of Western and Ottoman power. Essays related to the themes of this exhibit are available in book format. Today, if the actors have changed, the struggle over the ownership of antiquities remains. Indeed, the Hattusa Sphinx, Lydian Treasure and Weary Herakles constitute important victories for the country. In addition to the diplomatic success on a symbolic level, each repatriated object also represents potential tourist money. And, in Turkey, a lot of publicity is made every time an object is brought back home, promoting both the country’s cultural heritage and its tourism industry. Turkey today boasts of several world-class museums and attracts more and more visitors each year. With a new museum planned in 2023 for the Republic’s 100th birthday in Ankara, it will continue its repatriation efforts. The Getty Museum has been pressured to return artifacts acquired from dealers, auction houses and collectors; the British Museum has been asked to send back a stele of King Antiochus and Herakles bought by Sir Leonard Wooley in 1911, and the Victoria and Albert Museum in London a head of Eros from the 3rd c. BC Sidamara sarcophagus donated in 1933. In a favorable economic position, Turkey now possesses the diplomatic power to control its cultural heritage. An authority it lacked 100 years, let alone 20 years ago. Thus, more archaeological blackmail? Or, rather more attempts by a country to deal with the legacy of imperial encroachments in its territories over the last 250 years. Posted in Archaeology, Cultural Heritage, Ethics, History, Museums, Repatriation, Restoration, Tourism, TurkeyBookmark the permalink.